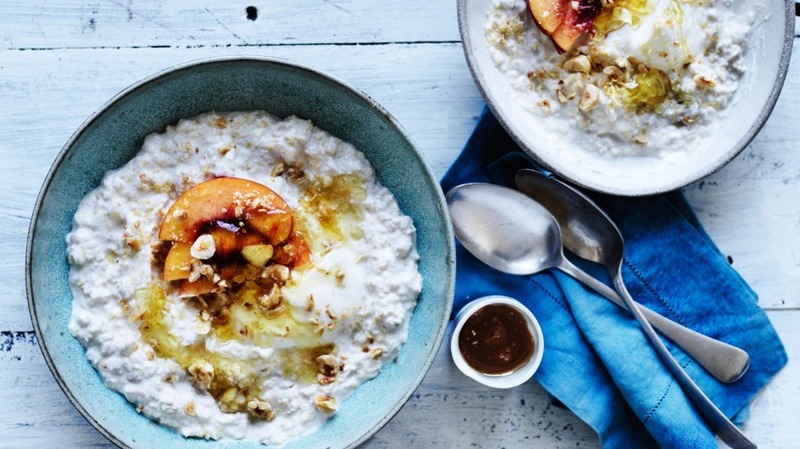 Nectarines and hazelnuts add juicy sweetness and crunch to this healthy brunch favourite. 1. Place the oats in a bowl. Add lemon juice, yoghurt, honey and some of the ripe nectarine slices, keeping a few slices aside. Fold through gently until well mixed. 2. Share between serving bowls, add the remaining nectarine slices and sprinkle with the hazelnuts.